S Note is one of the core apps of Samsung Galaxy phones like the S5 and Note 4. 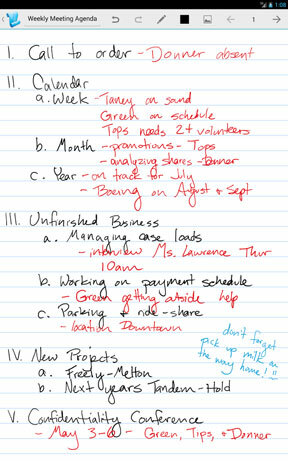 It’s a powerful tool that can be used for a variety of purposes, from quick note taking to complex document planning. 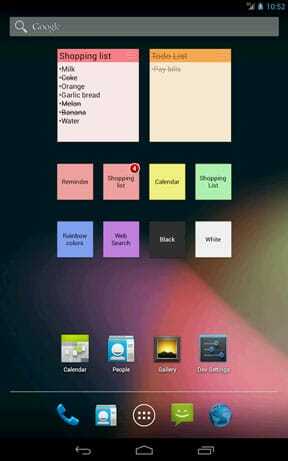 But there are many fantastic note apps for Android on the Play Store, and some of them are better than S Note. Here’s our pick of the best S Note replacements for you to try. Evernote is the grandaddy of note apps, so popular that Samsung even made sure that S Note could sync with it. But if it has passed you by, it’s time to give Evernote a try. It’s a full cloud-based note service that supports notes from a variety of sources—they could be typed, handwritten or even photos and PDFs—and it’s all fully searchable. You can create notebooks to organise your collections, and share and collaborate on projects with other users. 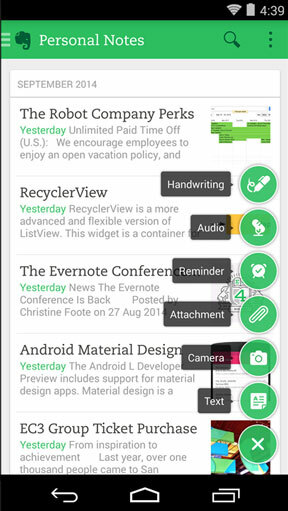 Evernote is not just one of the best note apps for Android, it’s one of the best productivity apps of any kind. Far less ambitious than Evernote, ColorNote serves a powerful purpose nonetheless. It’s a kind of digital Post-It note, wherein you can create a series of notes organised by colour and added to your home screen as widgets. There’s more to it than that, too. It’s compliant with the Getting Things Done time management process, can be protected with a password, and your notes are also syncable between your phone and tablet. But it’s as a quick memory aid where ColorNote really excels. Microsoft’s take on the note app has the scope to make it the biggest challenger to Evernote’s crown. Flexible enough to be able to handle notes ranging from quick shopping lists to full on minutes for meetings, OneNote accepts notes in typed or written form, image or audio. It’s all indexed and searchable, and available on almost literally any device via cloud syncing. Impressively, it is also compatible with the multi-window mode on Samsung Galaxy phones and tablets, so you can work in this app while having another one open on screen at the same time. Papyrus is the kind of app that wants you to use your smartphone instead of a pen and paper. It works equally well with fingers, a capacitive stylus and Samsung’s active stylus, the S Pen, for the Galaxy Note range of devices. 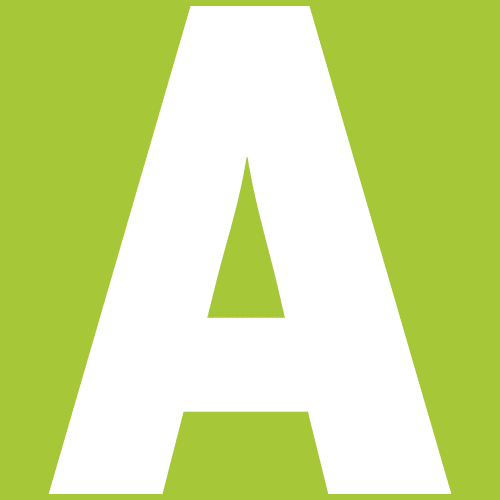 It can be used in conjunction with other note apps, and you export your documents for printing or sharing over email. Handily, there’s also Chromecast support, which opens up the intriguing possibility of using Papyrus as a kind of virtual white board. 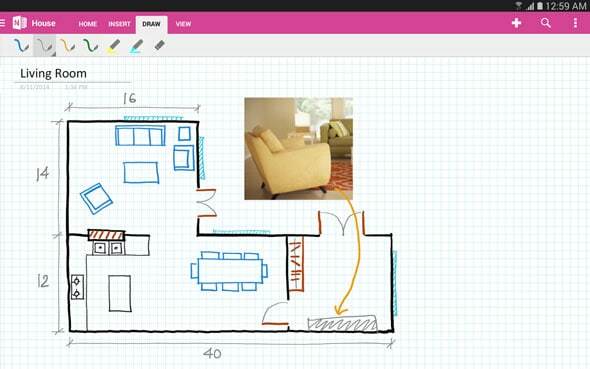 FetchNotes is an awesome collaborative note taker. 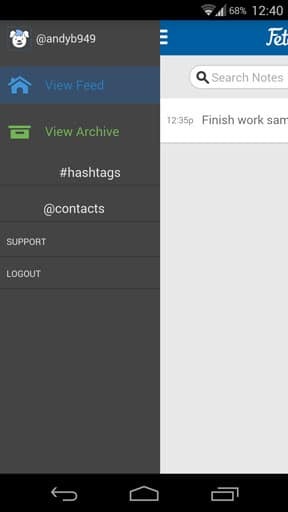 Like a Twitter-ised To Do list you can organise your notes with hashtags, and share them with your friends and colleagues using @ mentions. It’s so easy to use that you can use it for work and personal stuff without needing to worry about organising the notes into folders or worrying about what others will see (all your notes are private unless you explicitly share them). FetchNotes is less effective for long form note taking, or if you need handwriting or images etc, but if you simply want to jot down what’s on your mind it could hardly be any better.